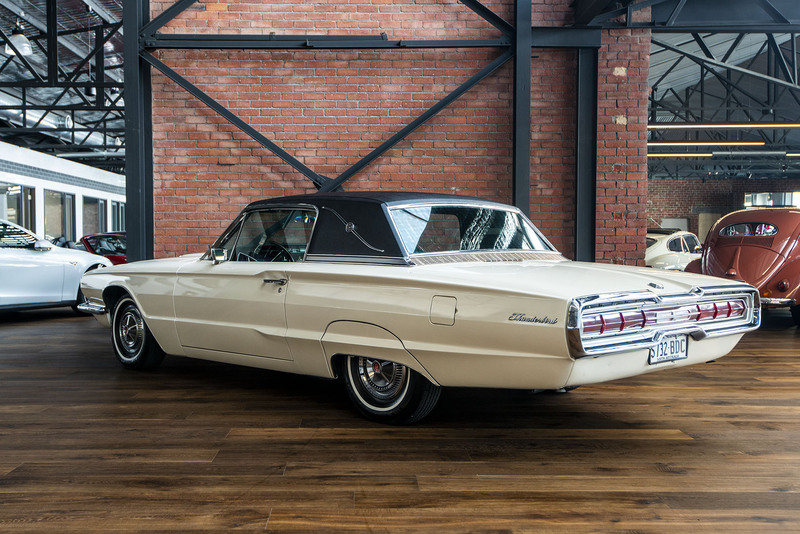 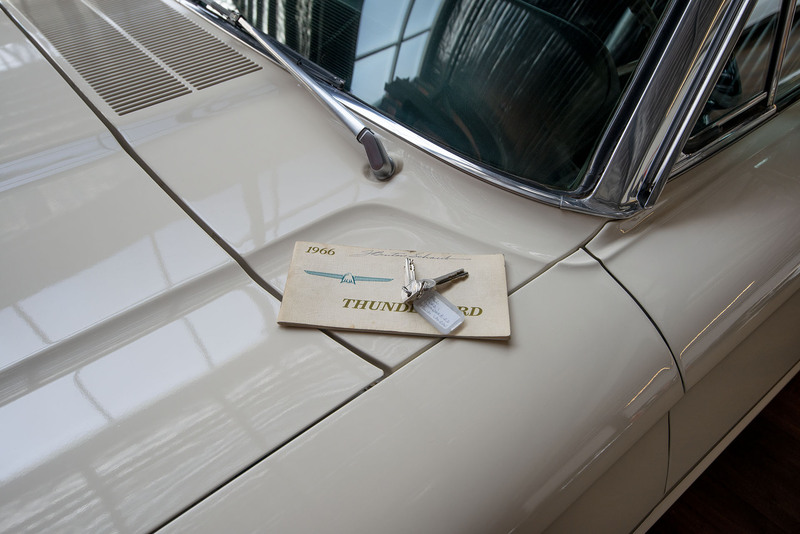 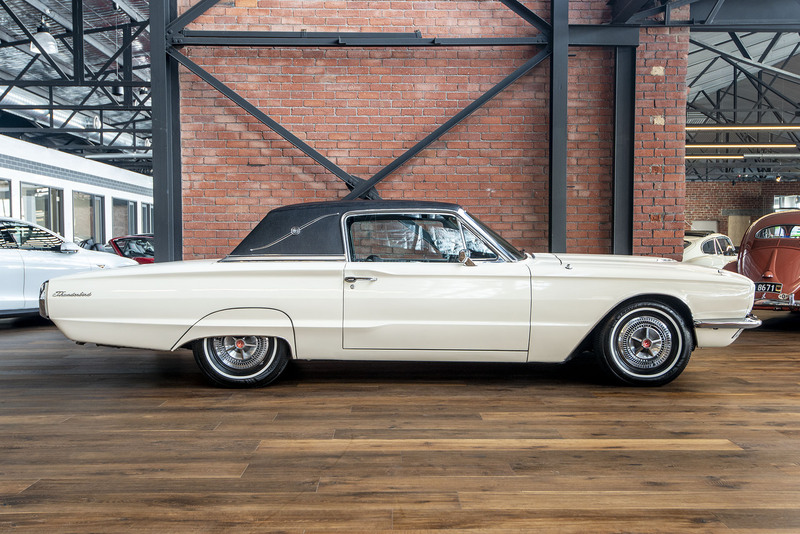 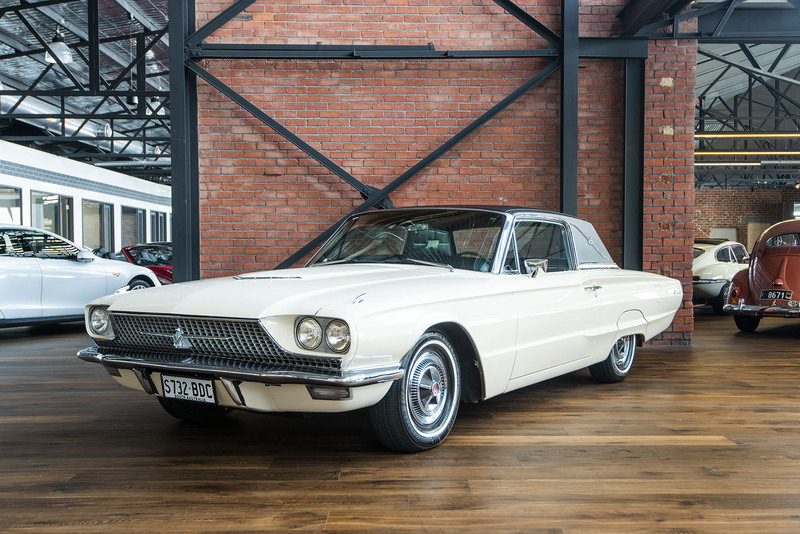 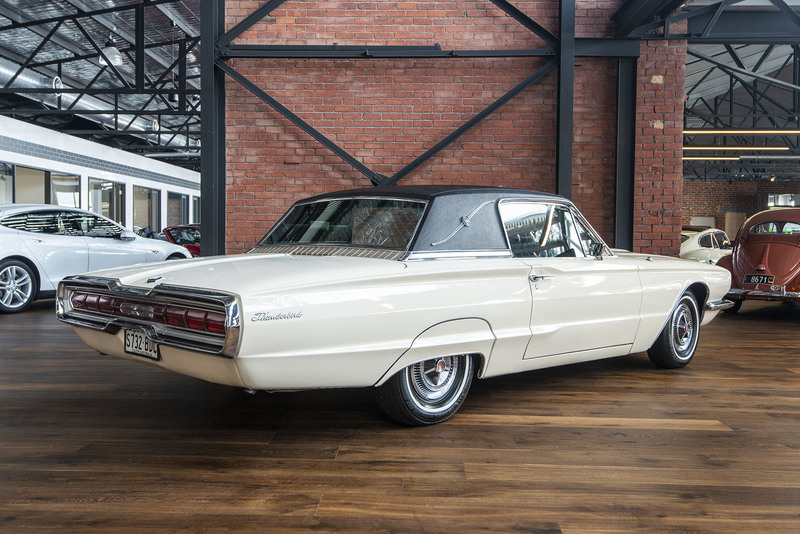 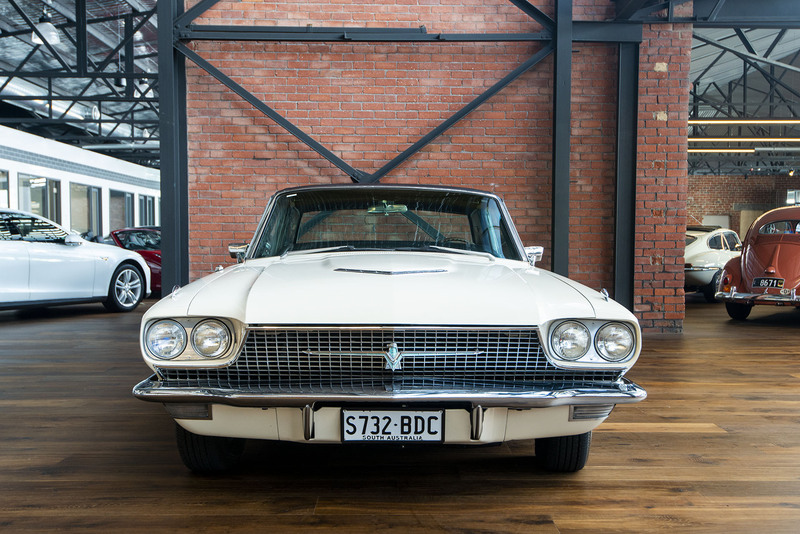 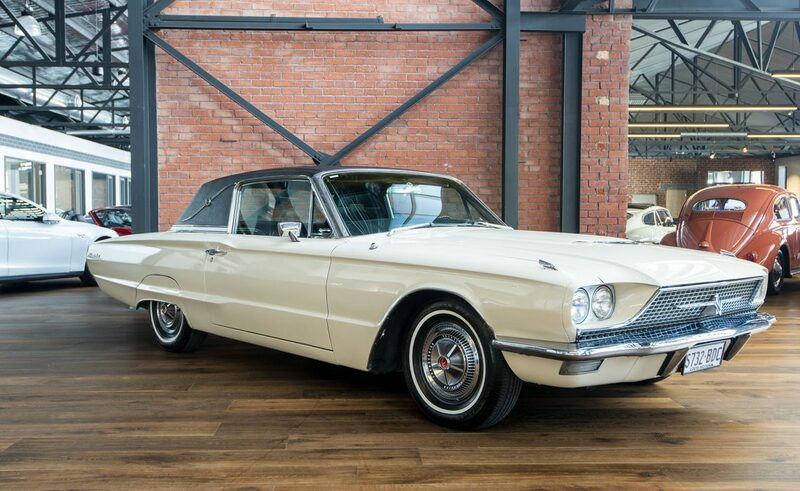 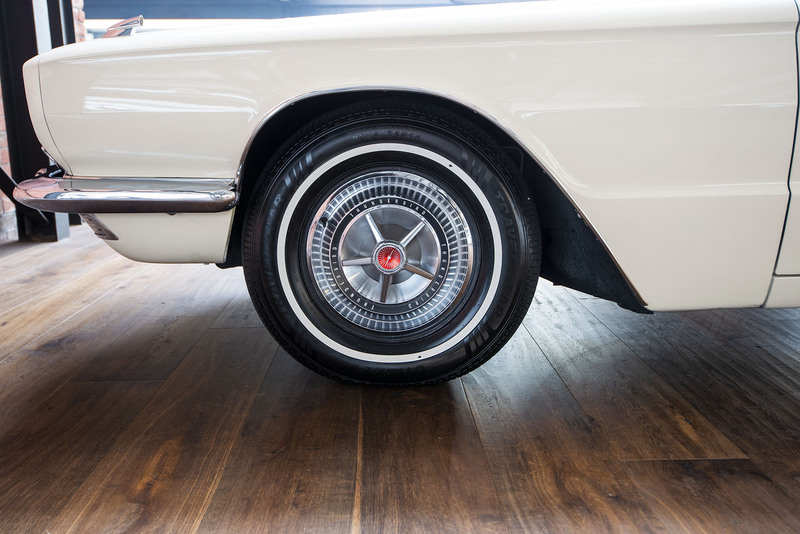 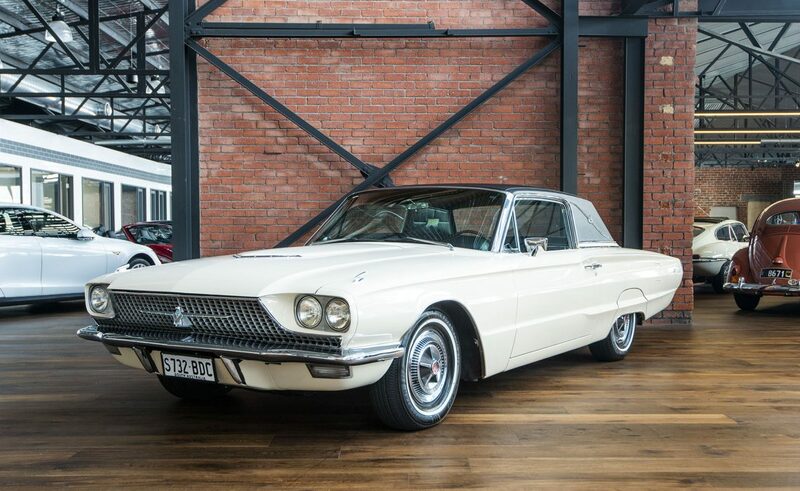 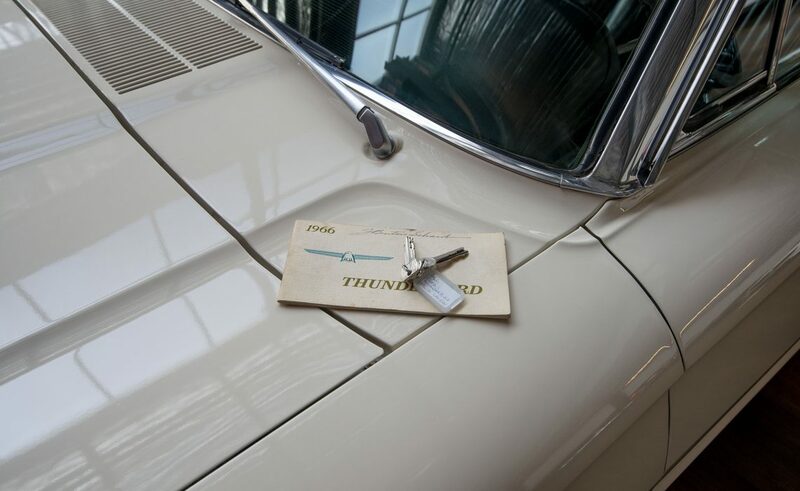 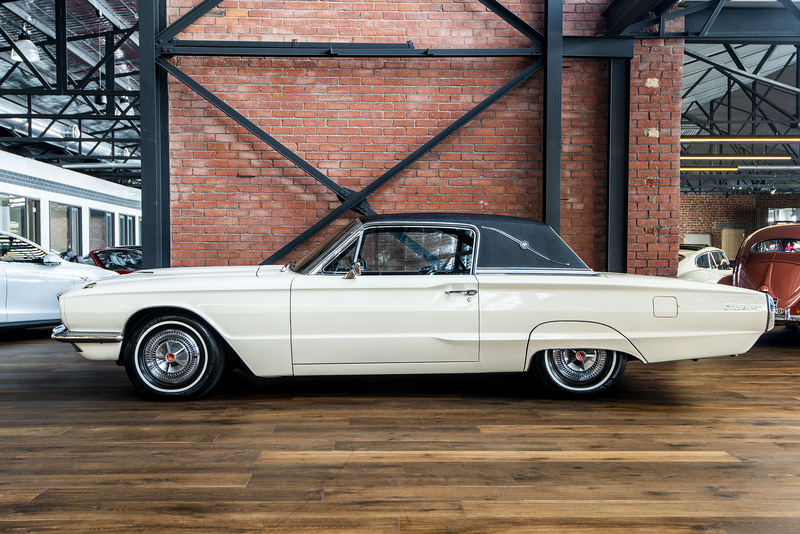 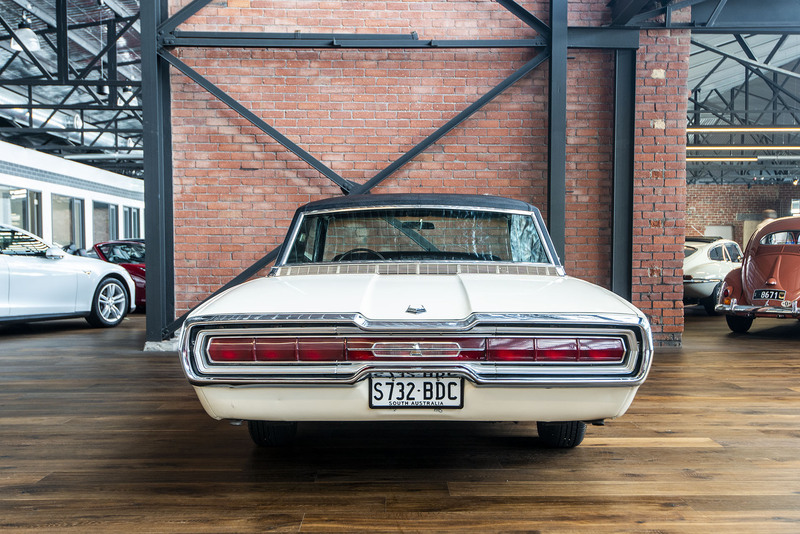 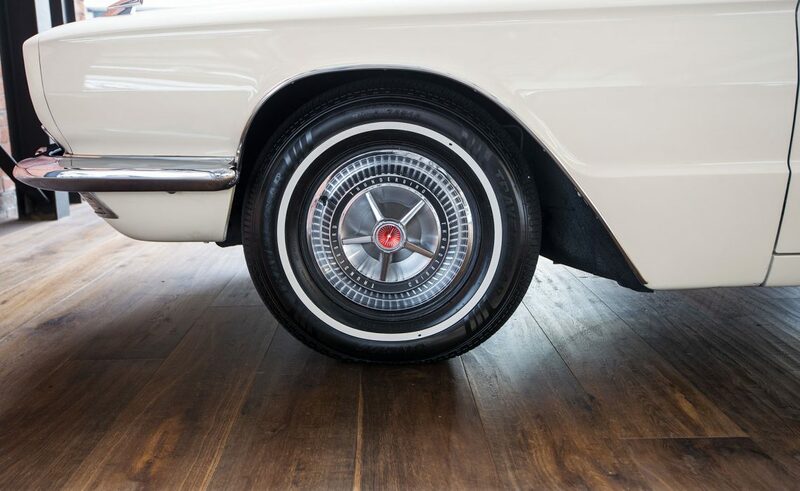 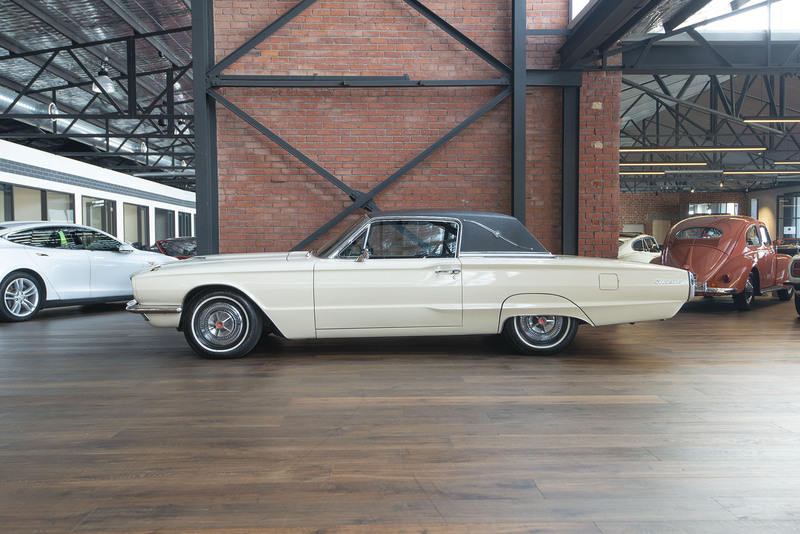 Now on display is an excellent and original fourth generation Thunderbird. 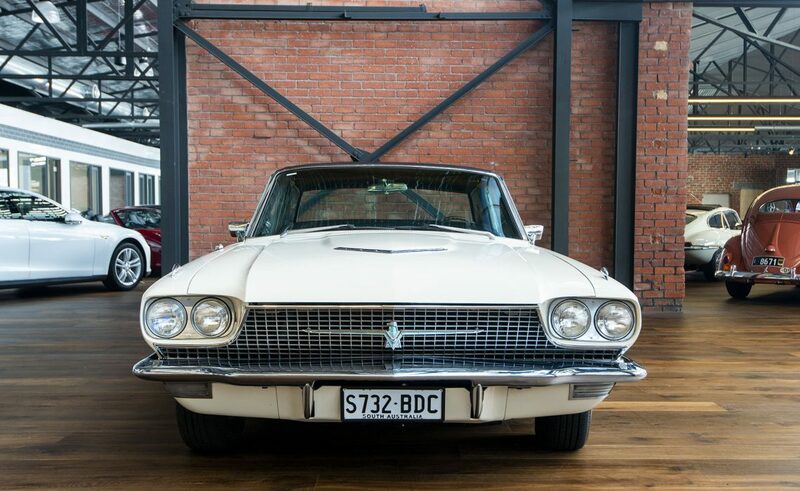 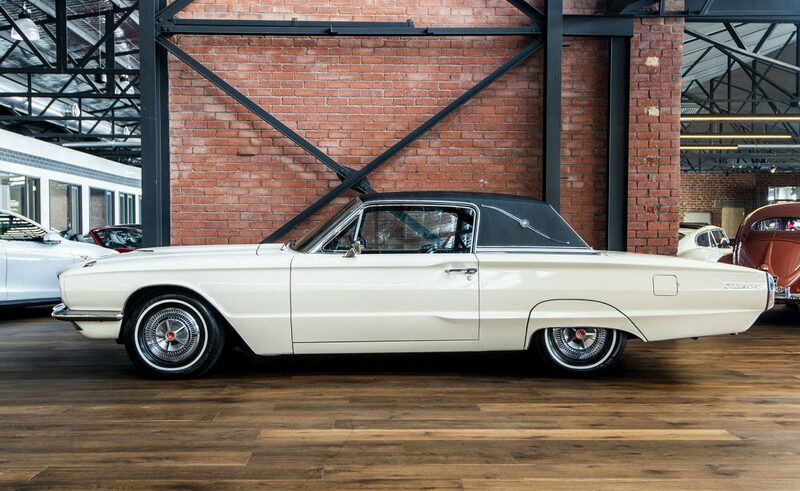 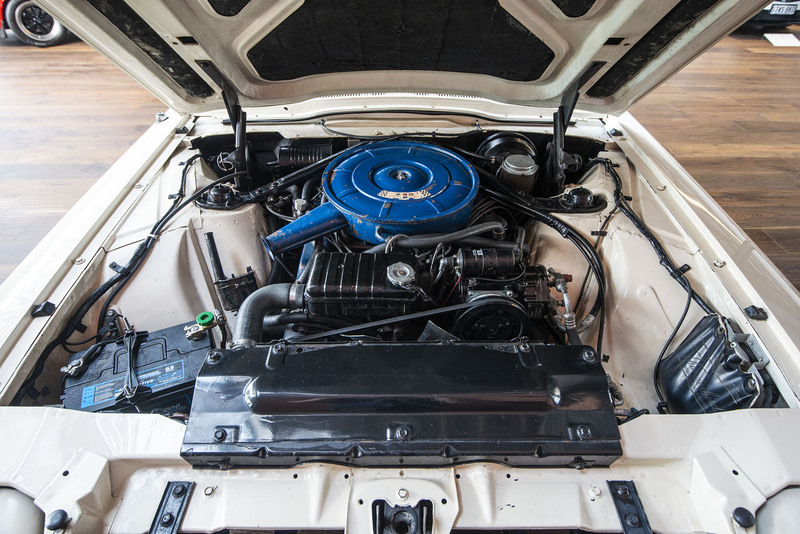 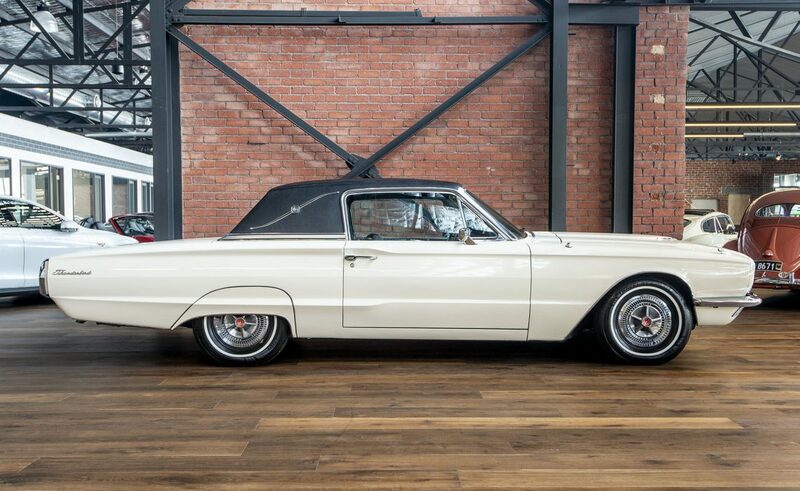 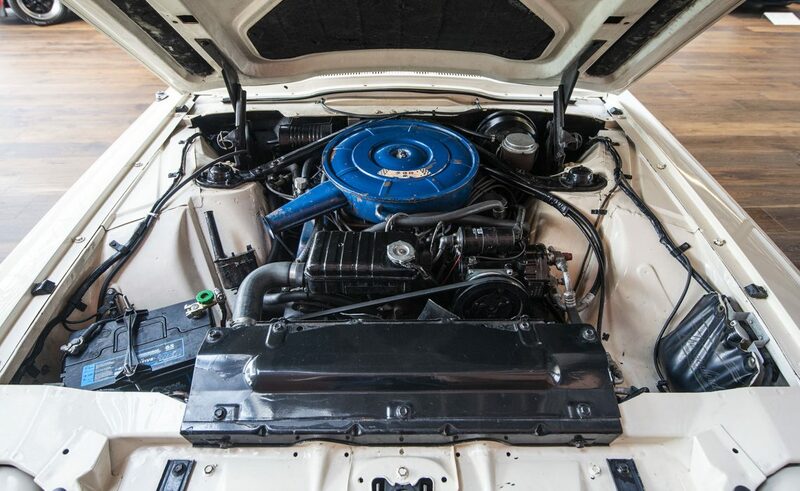 Powered by Ford's rare Q Code 428 cu inch V8 coupled to a three speed automatic transmission. 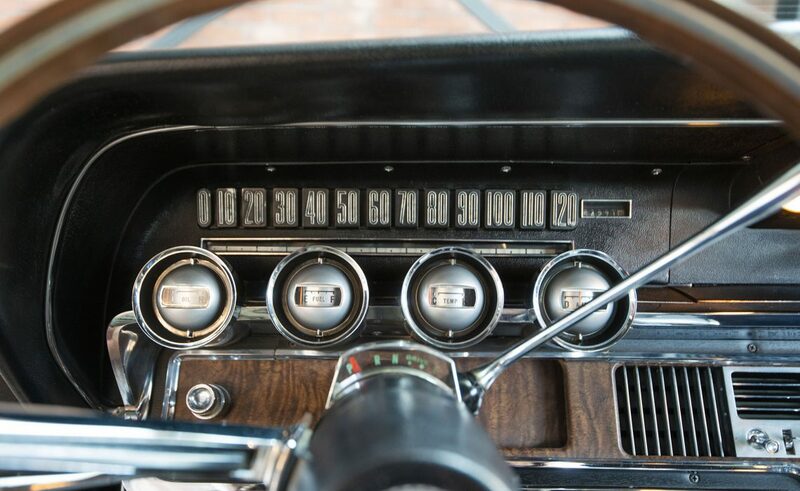 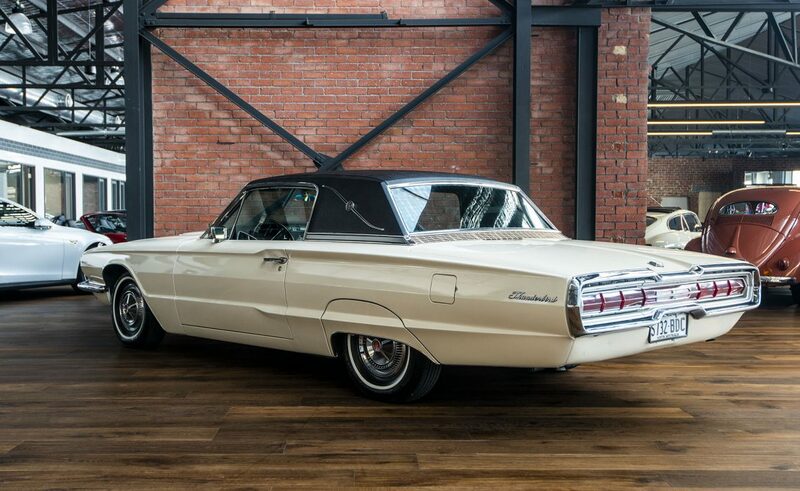 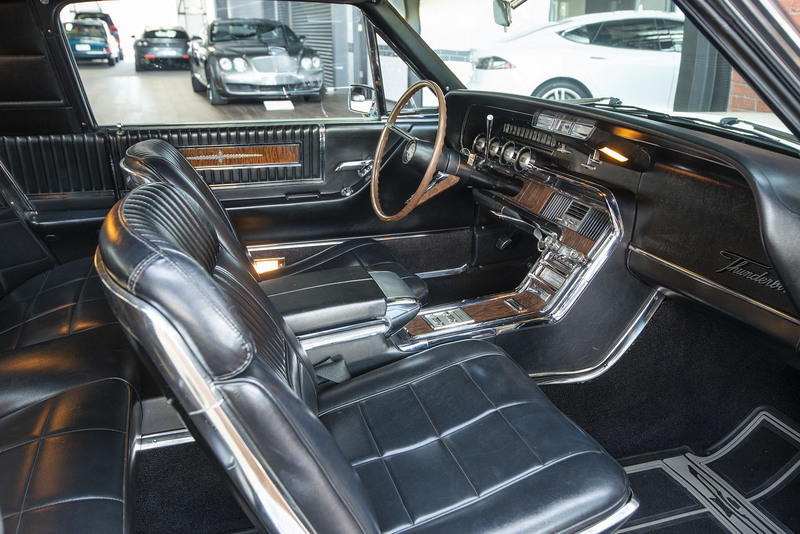 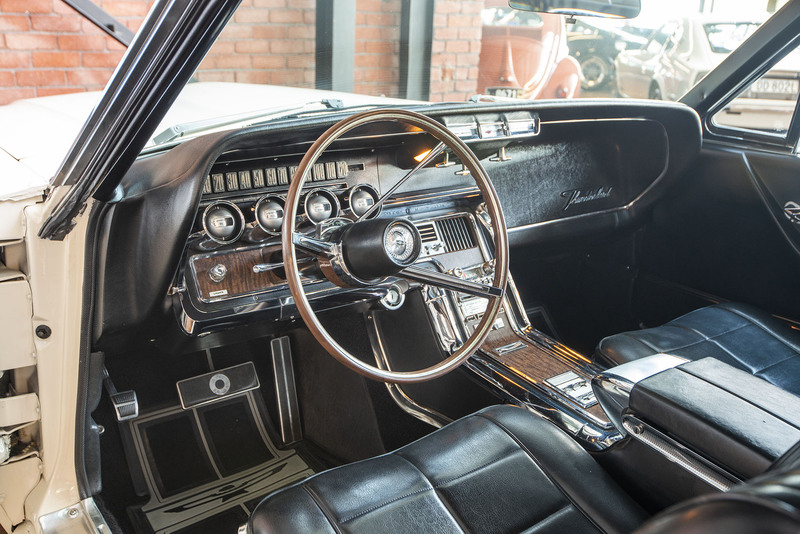 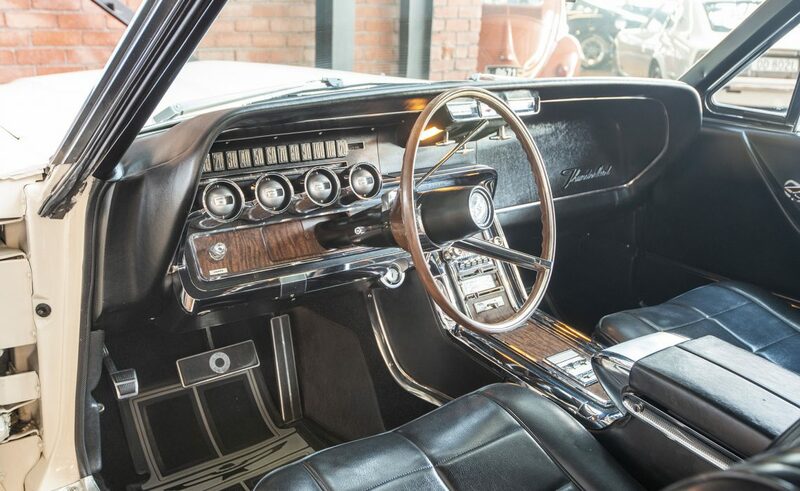 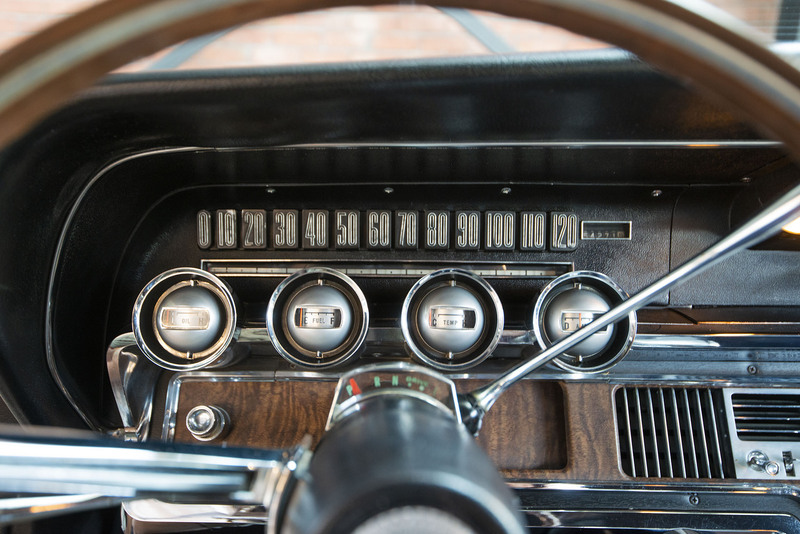 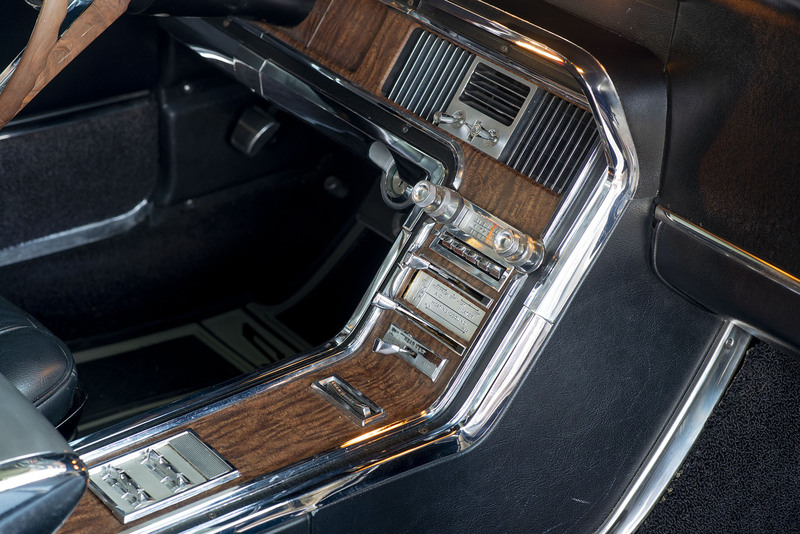 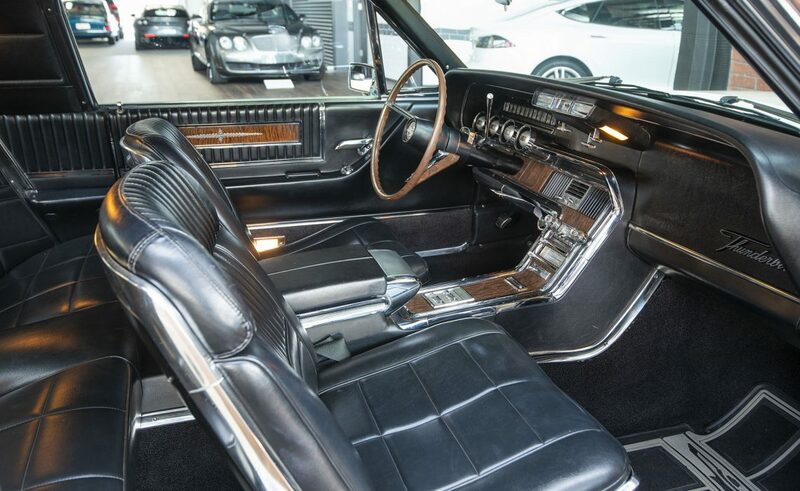 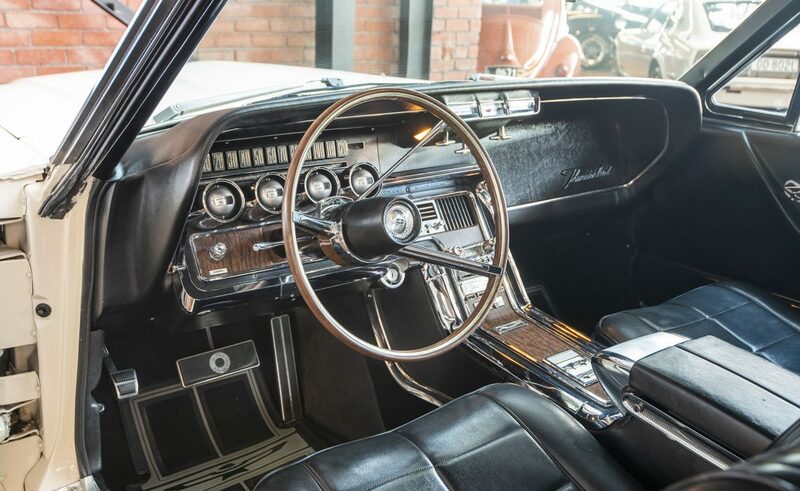 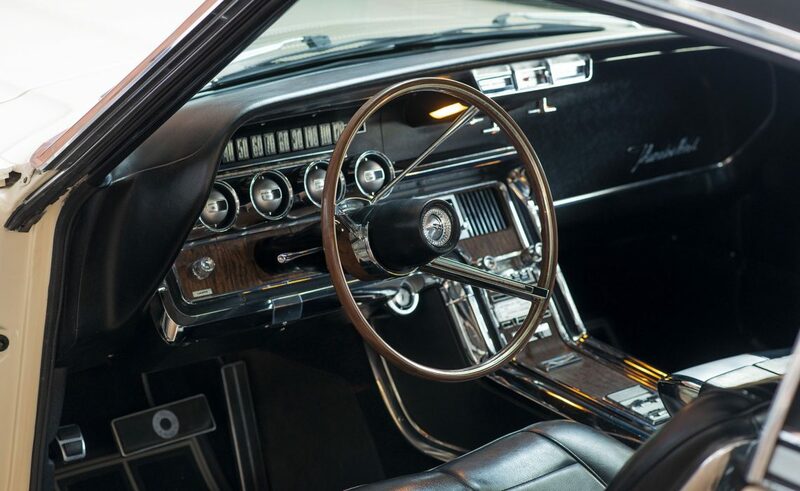 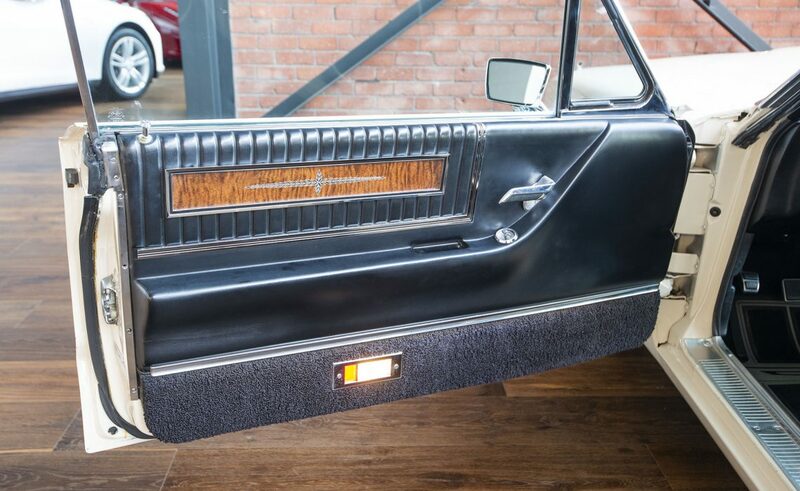 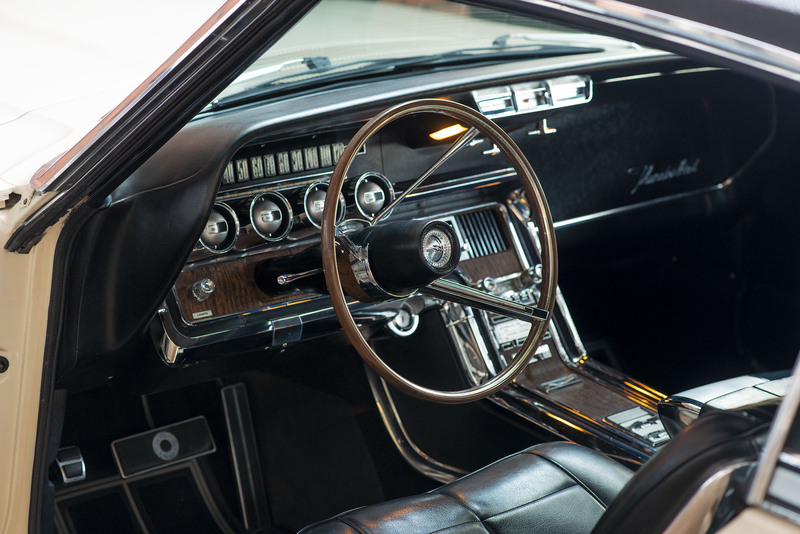 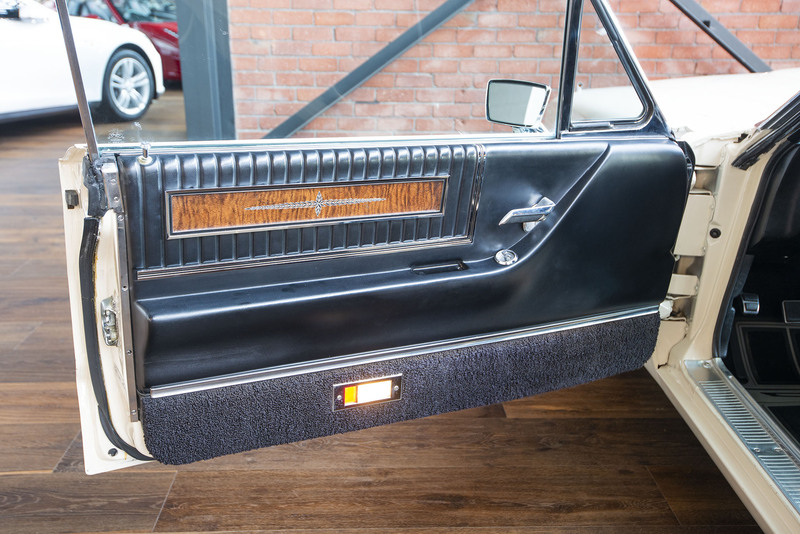 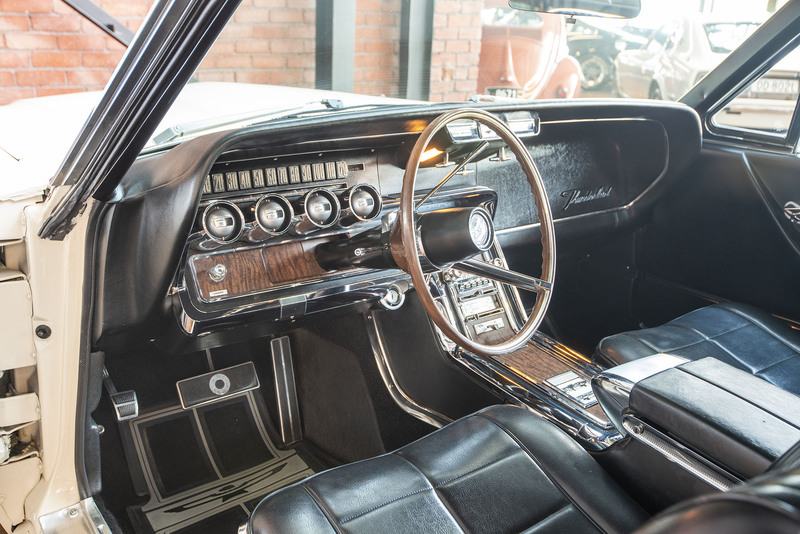 For anyone not familiar with this model, the T Bird has a swing-away steering wheel which swings to the right 10.5 inches making entry and exit from this left hand drive cruiser very easy. 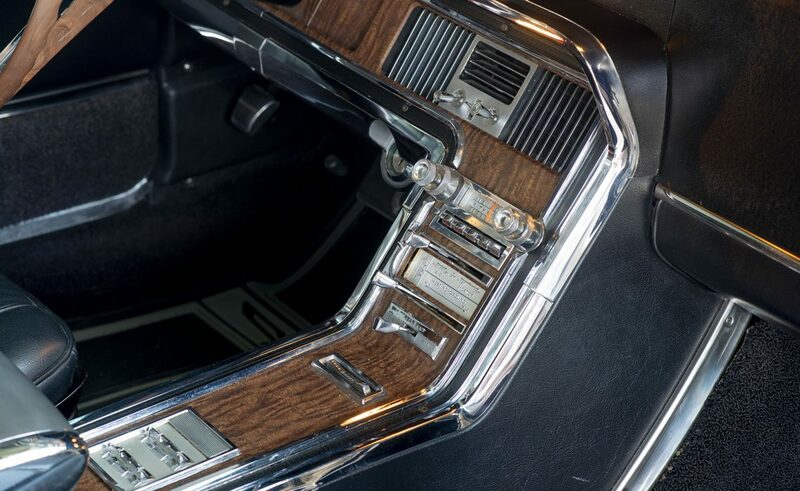 The automatic transmission has to be in Park to enable this feature. 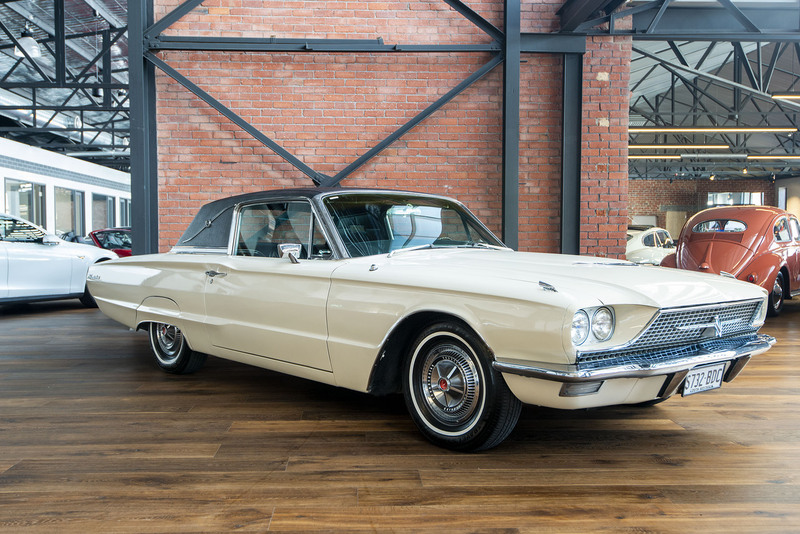 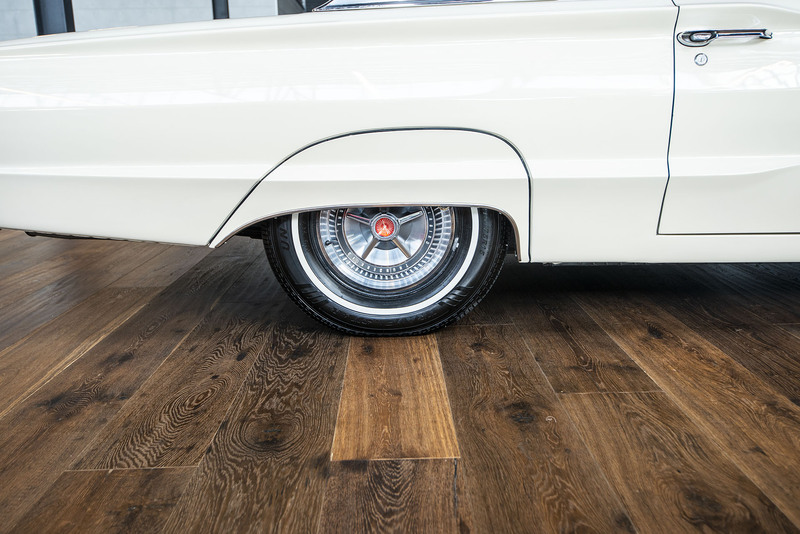 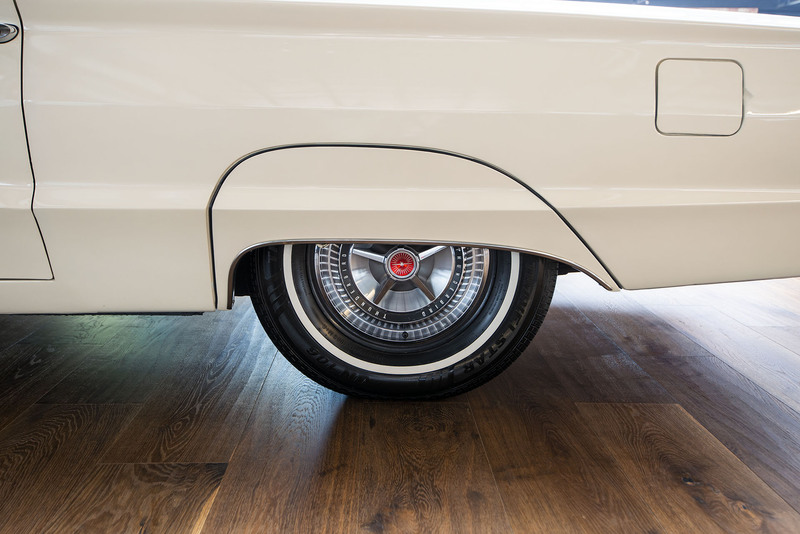 The T Bird is a very comfortable cruising car with a unique and appealing look. 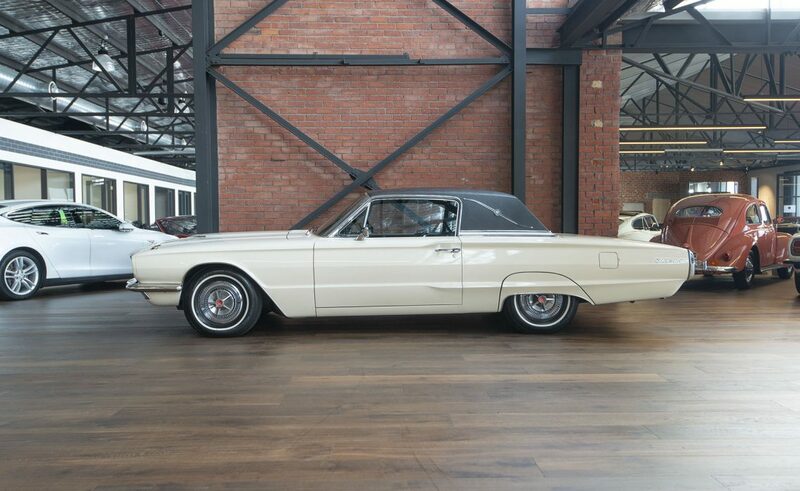 This example has been repainted in the original colour. 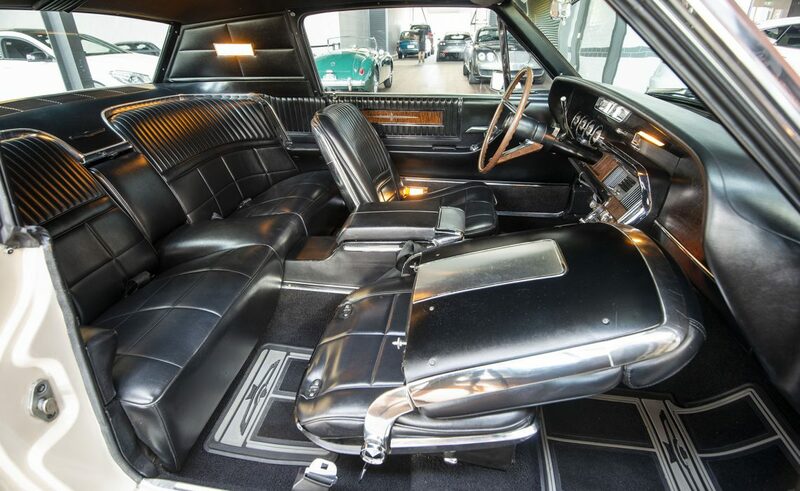 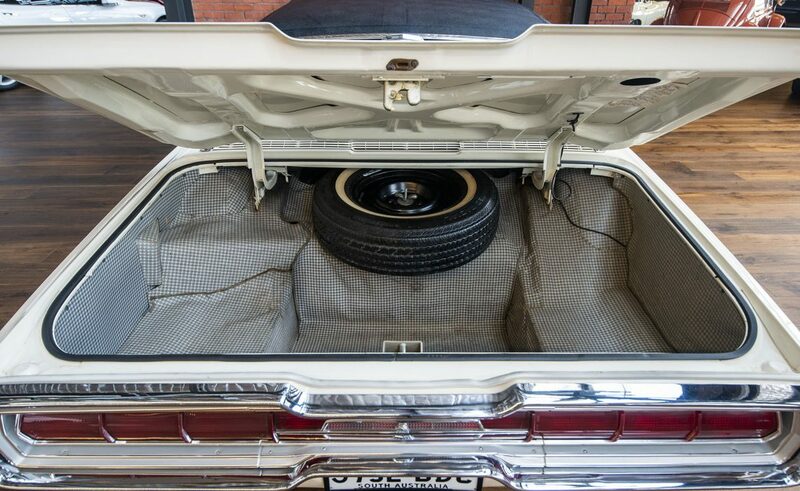 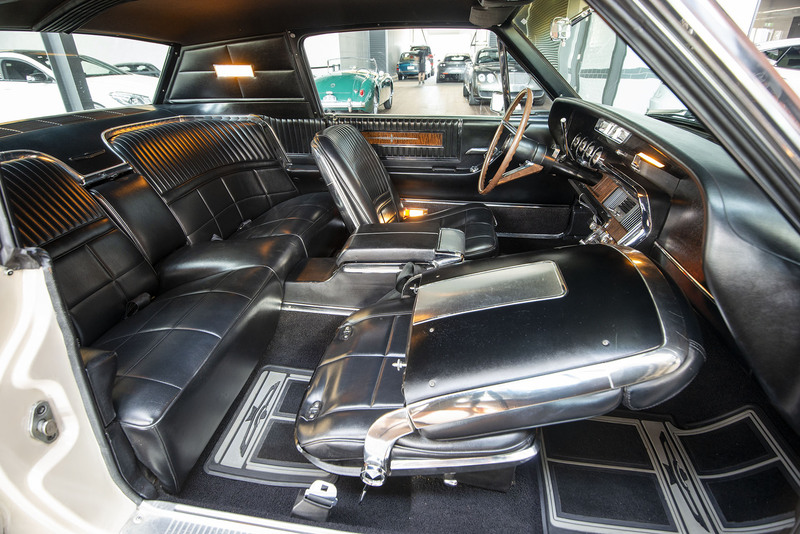 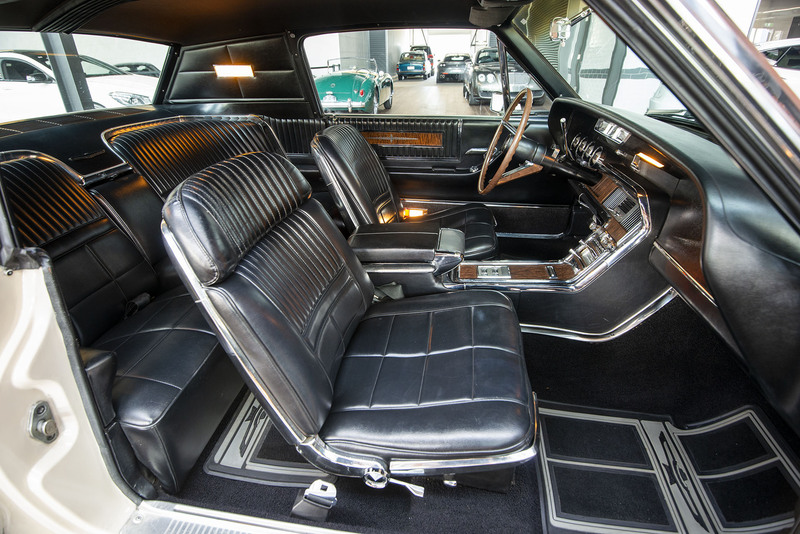 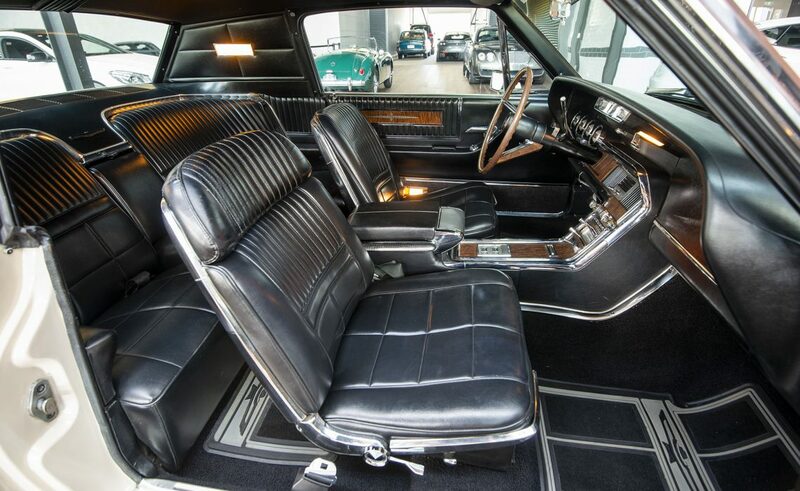 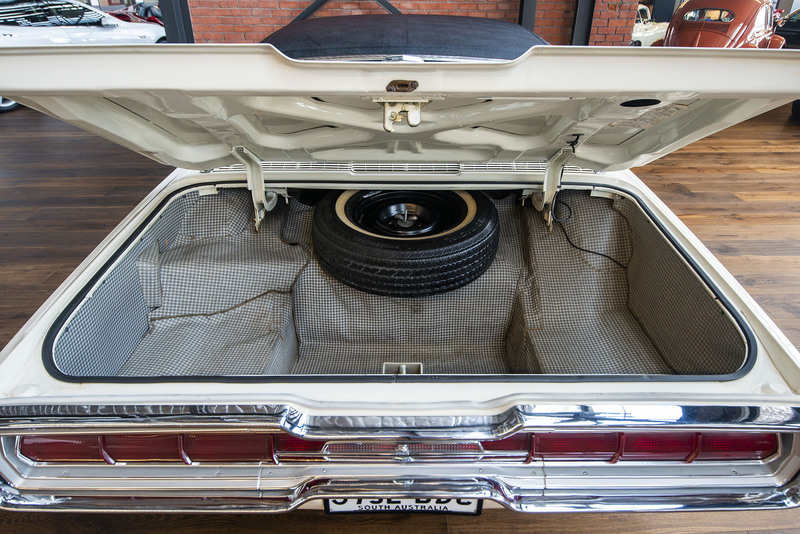 The interior is original and in great condition. 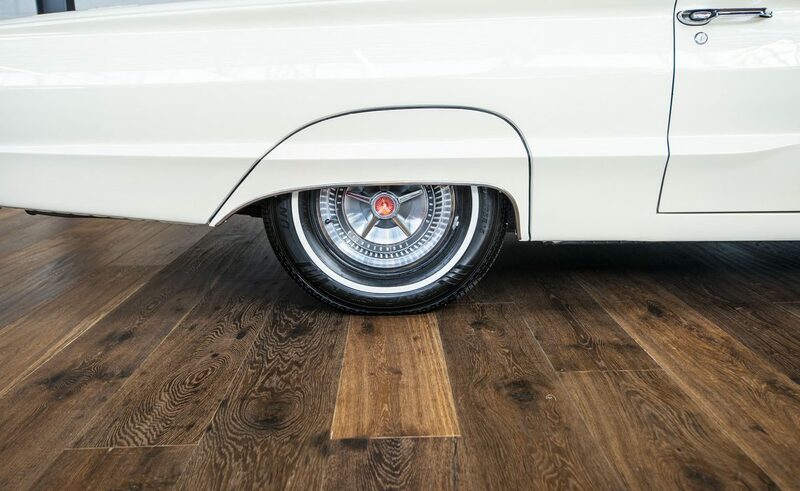 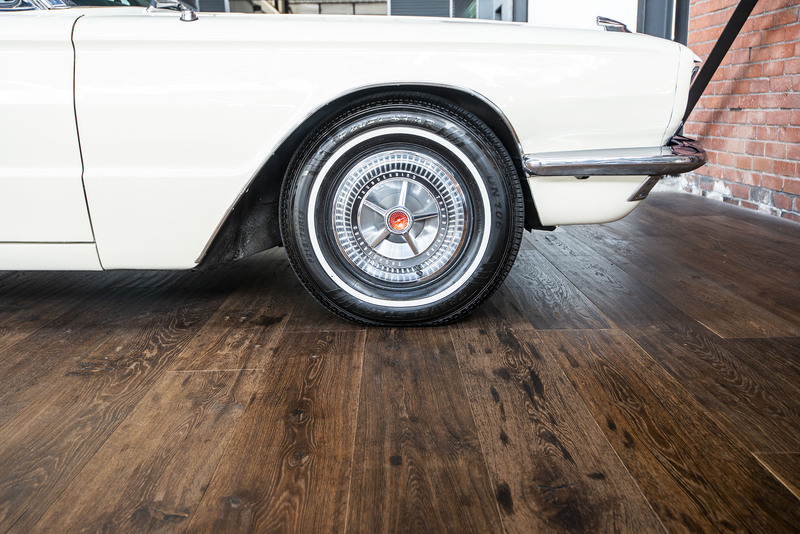 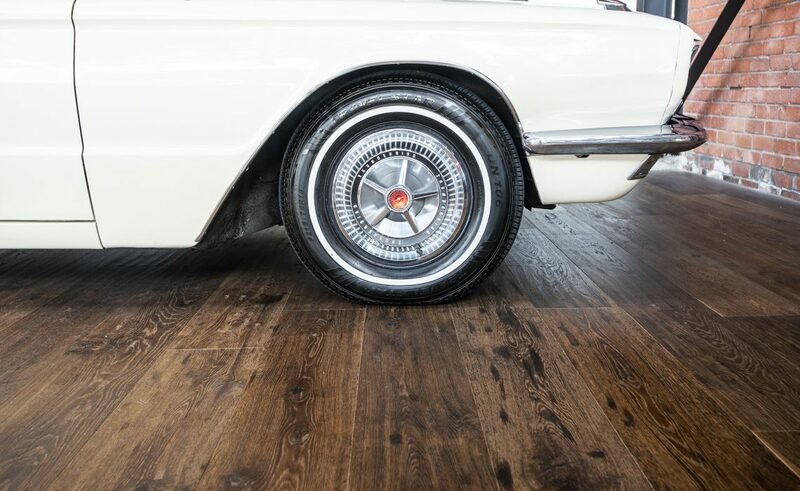 If you are looking for a stylish boulevard cruiser, here is something special to consider. 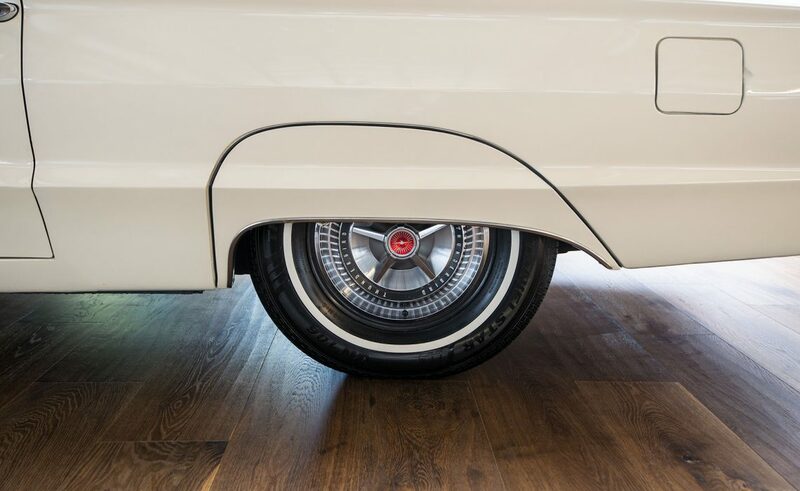 If you would like to take a closer look, we have hoists available - our mechanic is on-hand weekdays to assist you.